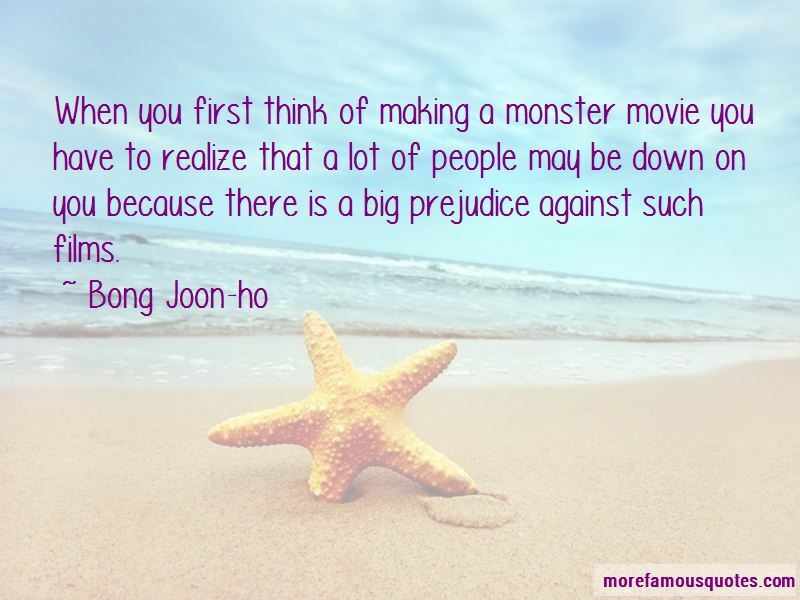 Enjoy the top 28 famous quotes, sayings and quotations by Bong Joon-ho. I regard remaking a film as creating something again. I have a group of cafes and coffee shops that I go to regularly. They usually have an area where I can plug in my computer and have a corner seat where I can do a couple hours of writing or whatever, even the noise of the surrounding people walking by. Those things are the things that stimulate me into writing. In the mid 1990s the Korean film industry was really open-minded. As a director, or just a film fan who wants to enjoy the festival, Cannes is the worst place to be. But it must be a paradise for distributors and importers. Want to see more pictures of Bong Joon-ho quotes? 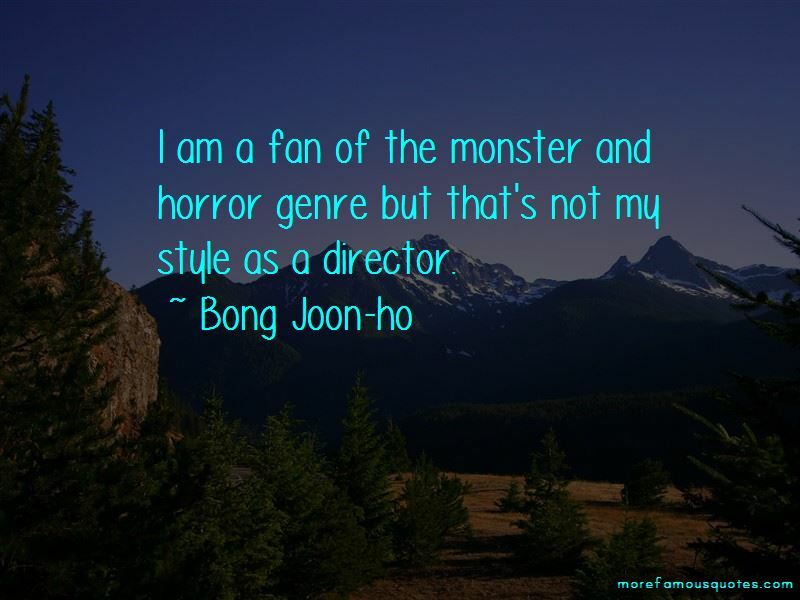 Click on image of Bong Joon-ho quotes to view full size.